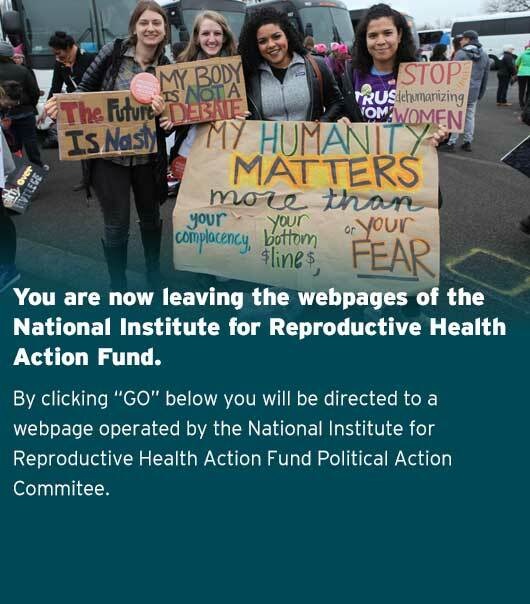 The NIRH Action Fund engages in public education campaigns to raise awareness about the need to fight for a proactive, affirmative vision for abortion access, and to educate voters about the threats to their rights and health posed by anti-choice politicians whose goal is to shame, pressure, and punish women by pushing abortion out of reach. To encourage voters to take action to reach our vision of a world in which people can control their bodies and their futures, we engage in public education campaigns that expose the opposition and rally support for an affirmative view of abortion access. 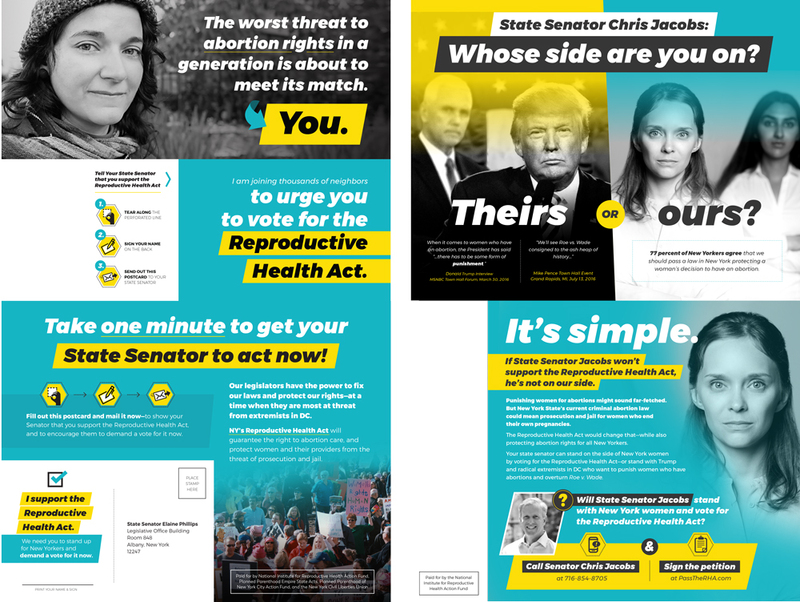 In an attempt to educate New York voters about the state’s antiquated abortion laws—ones that treat abortion as a crime, rather than as health care—the National Institute for Reproductive Health Action Fund, in coalition with New York partners, launched a multi-pronged campaign to encourage constituents in key districts to call on their state Senators to vote for the Reproductive Health Act. In response to Donald Trump’s remarks advocating jail time for women who have abortions, the National Institute for Reproductive Health Action Fund released a video ad asking if a woman is jailed for having an abortion, how much time should she do? Read our op-ed in TIME. Learn more about NIRH’s work on the criminalization of self-abortion, including the groundbreaking white paper on New York’s outdated criminal abortion law.